Lesa graduated from Sydney University in 1992 and spent her first three years in a mixed practice in Inverell before leaving to travel overseas with a backpack. Nine years later, having worked in mixed practice in Edinburgh and then a busy small animal practice in London, she returned to Australia with her Northern Irish husband Tim, a daughter Zara and a border terrier named Reiver. Zara was joined by Callum (2006) and Fraser (2010). The rest of the family includes four chooks, a horse called Darby and the cats Tiggerlicious and Eeyora-anora and Allie the Kelpie. 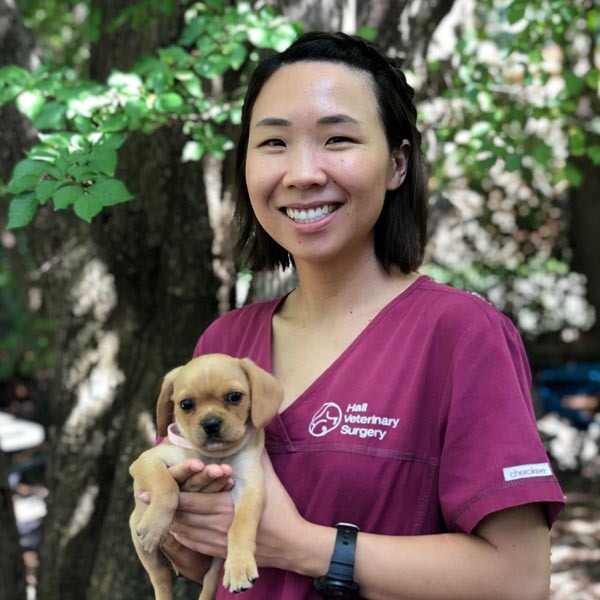 While diagnostic imaging – Xrays and ultrasound – is her particular interest, she is enthusiastic about all veterinary subjects. Lesa has a lifelong love of learning that she shares with the rest of the team at Hall Veterinary Surgery! Outside of the practice, Lesa enjoys many outdoor activities, swimming and painting. From age 5 Helen wanted to be a vet after spending weekends and holidays at her friend’s farm. Many magical days were spent exploring on horseback and caring for the various animals on the farm. Helen graduated from University of Queensland in 1980 and worked her first year in a mixed practice in the Lockyer Valley (Queensland). As the first female vet to work in the Lockyer Valley in Queensland she received a lot of disbelieving looks from farmers back in the 1980’s. 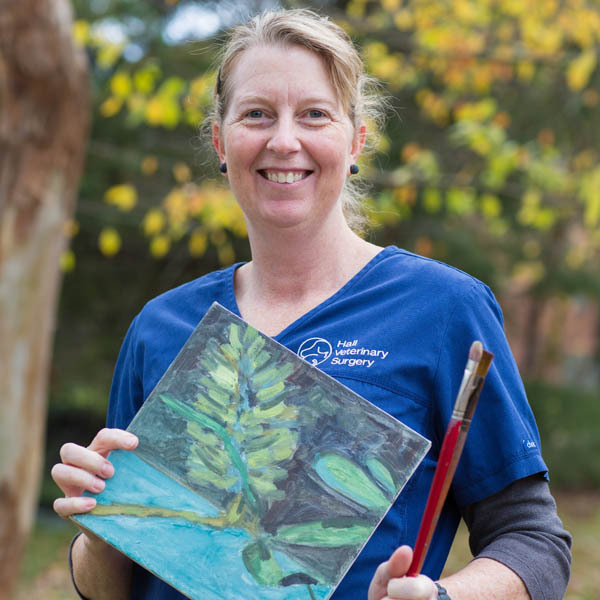 Helen moved to Canberra in 1982 and her veterinary skills have continued to grow. She is a passionate lifelong learner and encourages all staff in pursuit of further study – she certainly leads by example! Over the years, Helen has participated in distance education in medicine, surgery and ultrasound, is a qualified veterinary acupuncturist and most recently has added animal behaviour qualifications to her long list of accreditation. 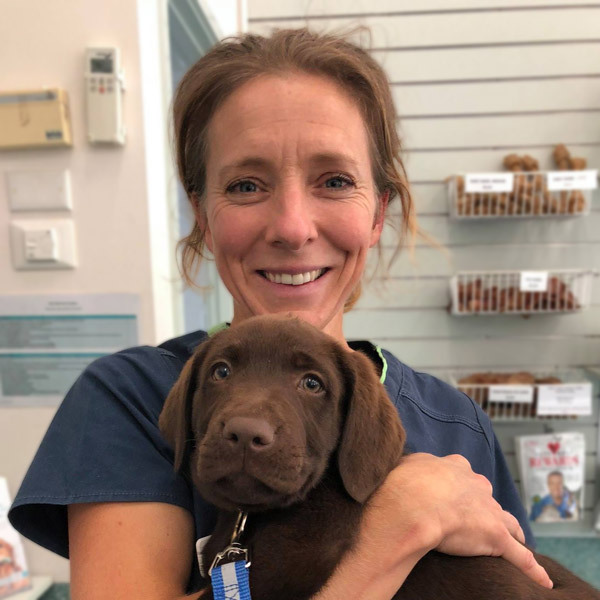 Helen finds veterinary practice immensely rewarding and challenging and gains great joy from the company of animals and the people who care for them. Helen and her husband Andrew love bushwalking, and have trekked in many places both within and outside Australia. Jim grew up on a farm, went to school in Dubbo, then studied Veterinary Science in Sydney, graduating in 1990. He started his vet career in a mixed practice in Armidale NSW, and eventually married one of the clients. After a stint in the UK, he worked in Taree for a couple of years before moving to Canberra in 1998. These days he mainly works with small animals but lives the farm life with his family, including two children, a range of pets and cattle on a small acreage. The family pets include Jack the Border Collie, Emily the Cattle Dog x and a pair of cats named Kat and Kim. Outside farm work, Jim’s interests include gardening, travel, reading, photography, golf and bushwalking. Jenny joined our team in early 2014, the pets in her care really appreciate her calm and gentle nature and in an emergency Jenny’s quick and clear thinking are amazing. 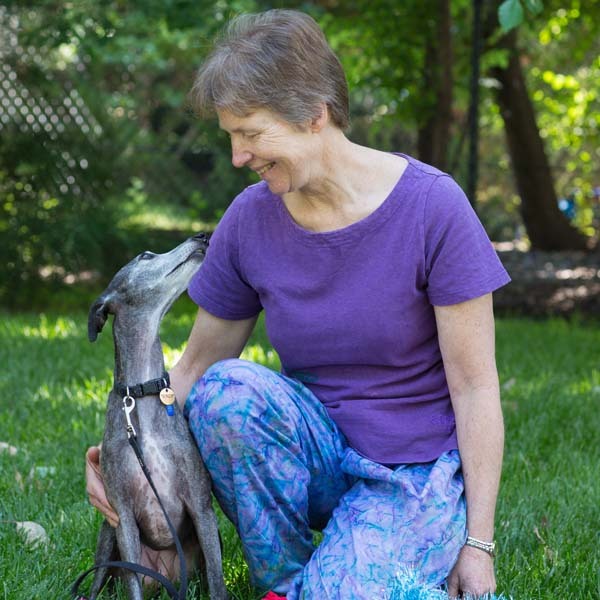 Outside of work Jenny enjoys reading, music, walking along the beach and spoiling her pets. Dr Peter makes everyone’s day a little brighter with his support, good humour and by generously sharing his vast veterinary knowledge. After graduating from Sydney University with his Veterinary degree, Peter had a short stint as a meat inspection veterinarian before going into dairy practice in Mt Gambier. His next life-move with his wife, Trish was to Cowra into a mixed practice with more of an emphasis on equine reproduction, race track practice and companion animals. 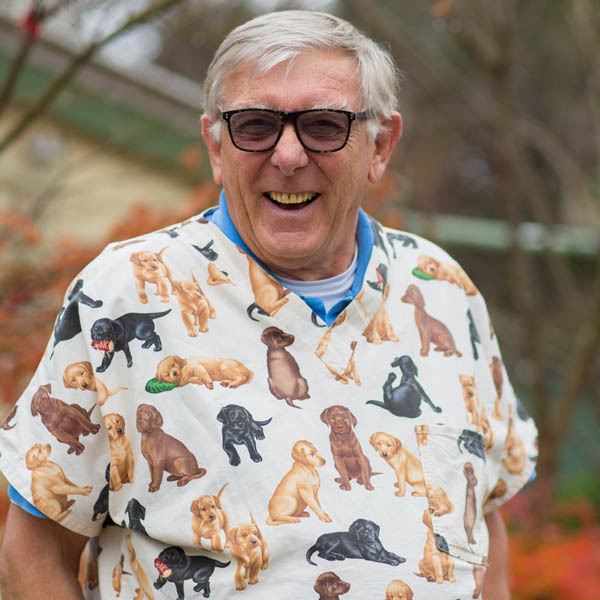 1978 was a life changer when Peter moved into practice in Yass in a practice where there was a continual focus on self-development, continuing education and maintaining standards of treatment in line with current trends. 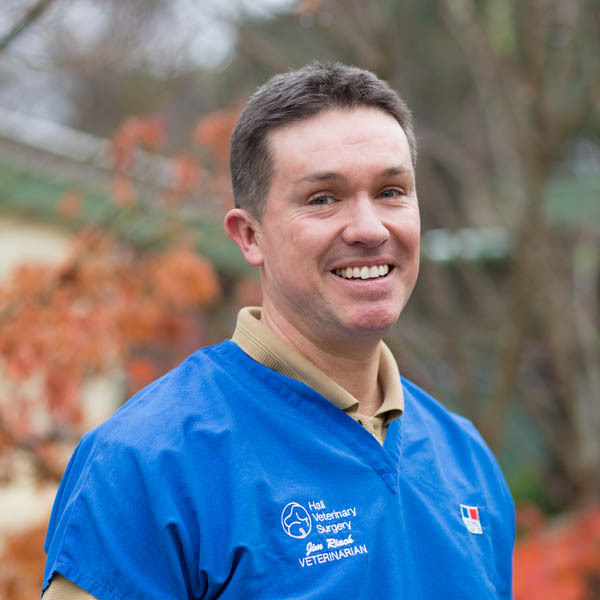 Peter obtained membership of the Australian College of Veterinary Scientists in Anaesthesia and intensive care and was the anaesthetist for Canberra Veterinary Hospital equine surgery unit. Peter moved on to develop Yass Veterinary Hospital into a 5 vet practice with 12 ancillary staff, twice winning the AVA Practice of Excellence in customer Service award. Peter has also been active as a Rotarian, a board member of several local organisations, a member of the New South Wales division committee of the AVA, a board member of the AVA and vice president of the AVA for 3 years concluding in May 2014. Retiring from full time practice in 2010, Peter has been undertaking locum work at several practices including Hall Veterinary Surgery. Outside of his life-time vocation, Peter and his wife Trish, continue to enjoy travel adventures and being involved with their grandchildren. Wendy joined Hall Vet Surgery in early 2018 and brings a wide range of veterinary experience to the practice. Dr Vickie joined the HVS team in 2018 and brings with her a vast array of skills and expertise. Not only is Vickie a gifted and highly skilled veterinary surgeon, she has continued to build her knowledge. Vickie’s qualifications include 1st class honours in Bachelor of Veterinary Science 2003; plus MANZCVS qualifications, which means she has passed examinations and been admitted to Membership of the College in Surgery, Radiology and Emergency and Critical Care! That’s over 15 years of in-depth study and skill development at the highest level. 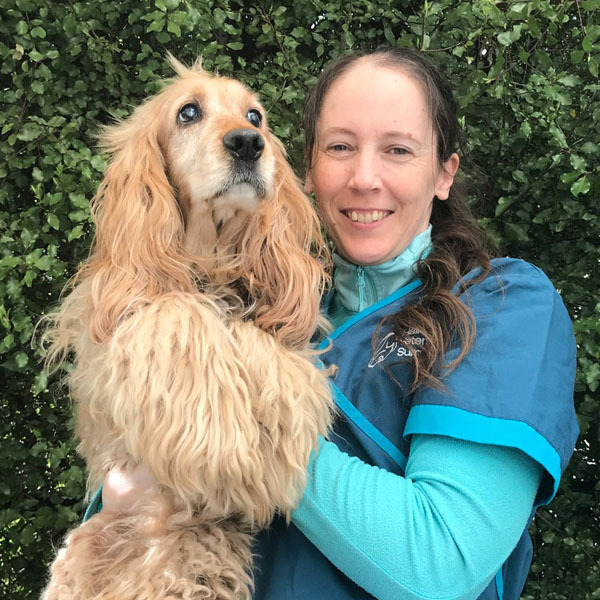 On top of all these amazing skills you will also find Vickie to be a warm and caring vet who has had many years experience as a pet owner – so she knows what it is like to worry about an unwell pet. Vickie has two cocker spaniels, Ginny and Mitsuki as well as a cat and named Elspeth. Dr Emily joins the Hall Veterinary Surgery team in 2018 after having worked in both general and emergency small animal hospitals. Emily’s love for animals began at the small hobby farm she grew up on, where she helped to care for dogs, cats, horses, goats, budgies and poultry. Emily always knew that she wanted to pursue a career working with animals but it wasn’t until high school that she began thinking more seriously about becoming a vet. Like a lot of vets, Emily moved states to pursue her passion. Since graduating she has found herself calling Canberra home, along with her cheeky 4 month old Cobberdog ‘Esmé’, her energetic 6 year old Tenterfield Terrier ‘Tilly’ and ‘Flash’ the beautiful natured Welsh Cob horse. Emily has found her feet in the HVS team seamlessly and is enjoying problem solving her way through the challenges of each day. She loves that Hall Vet values continued learning and the high standard of care offered to our patients. Outside of work Emily loves to get out into nature, her hobbies include hiking, swimming, horse riding, cooking and photography. Gillian grew up in Singapore with her family until she was 16 before moving to Perth to finish high school. After finishing school, Gillian found herself in the final year of a Commerce Degree when she realised that her passion was never going to be fulfilled within a desk job. It was her rescue dog Cassius the boxer that helped Gillian come to the realisation that her true passion was to be a Veterinarian. Now, a few years and a Bachelor of Veterinary Science degree later, Canberra is called home, and aren’t the pets of Canberra so lucky for that! The varied skills of our veterinary staff is both broad and complementary. From cruciate repairs, pathology diagnostics, dental repairs, spey and castration surgeries, cardio work-ups to acupuncture and behavioural advice we have vets with the skills to help you keep, or return your pet to good health. Now come and meet our support staff!